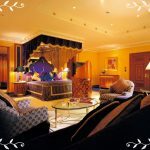 As Friday is the first official day of fall I thought I would post some of my favorite fall vignettes to get you jump started on your thoughts for decorating! Check back next week for a personal post of my own fall decor in my home…. 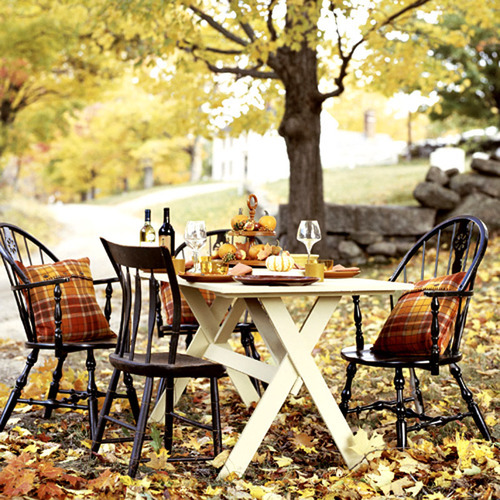 I absolutely adore this outdoor fall setting. It makes me giddy for a large pot of soup on a chilly day, followed by a small fire and roasting marshmallows for s’mores as it turns to evenings. Such a cute vignette for a sideboard or bookshelf. 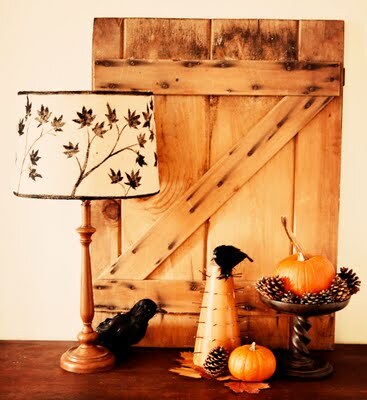 I love the small barn door that adds texture along with the other trappings of fall, the pumpkins, the birds, and pine cones. Perfection. I am obsessed with the little haybale used as a riser, and I think the usage of natural elements makes it just feel like fall. 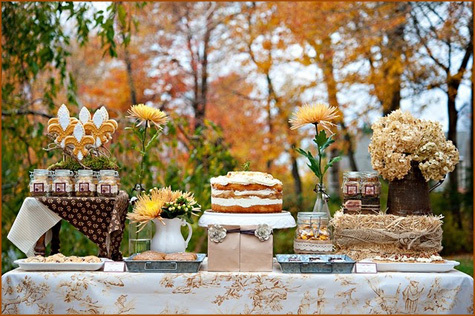 I think this is such a cute tablescape. 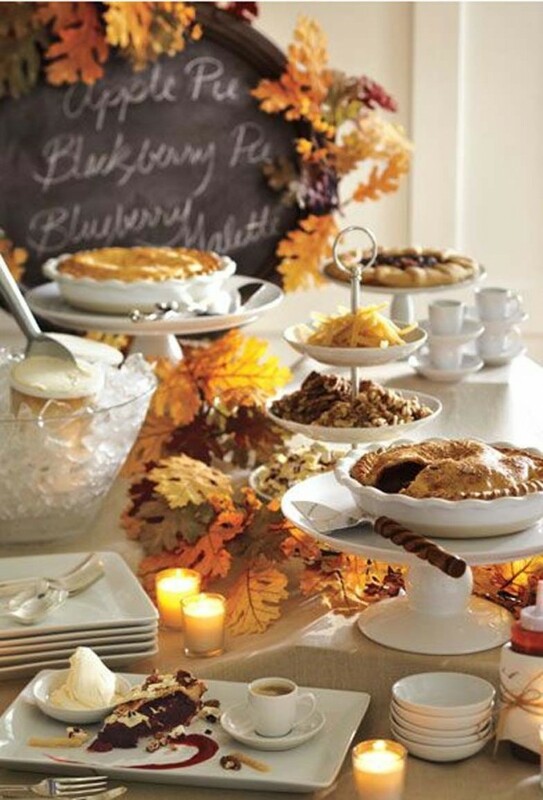 I love the white stoneware that everyone has, and the chalkboard and the leaf garland are just the right touch to add a touch of fall without being overdone! OMG. 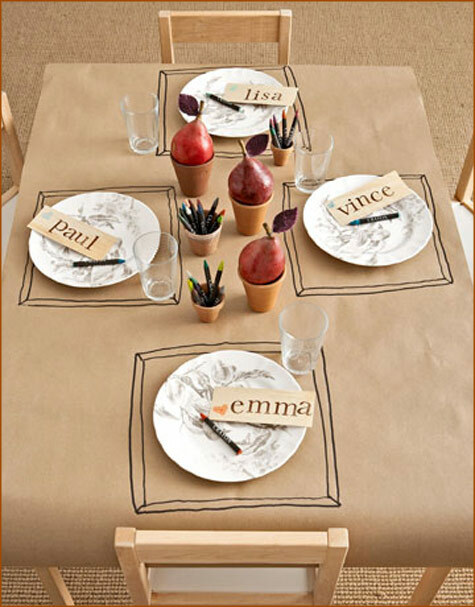 This is the perfect kids table, it is cute, simple but entertaining!